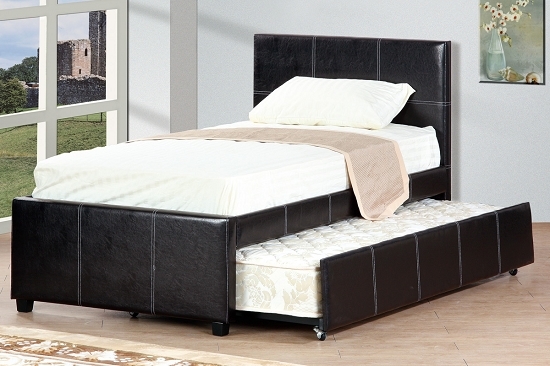 Adventurous in design and sleek in rich color and texture, this twin bed features a complete unit covered in espresso colored faux leather and includes a lower trundle for an additional mattress. This unit is perfect for visiting friends or family., 12/12 SLATS. ASSEMBLY REQUIRED.